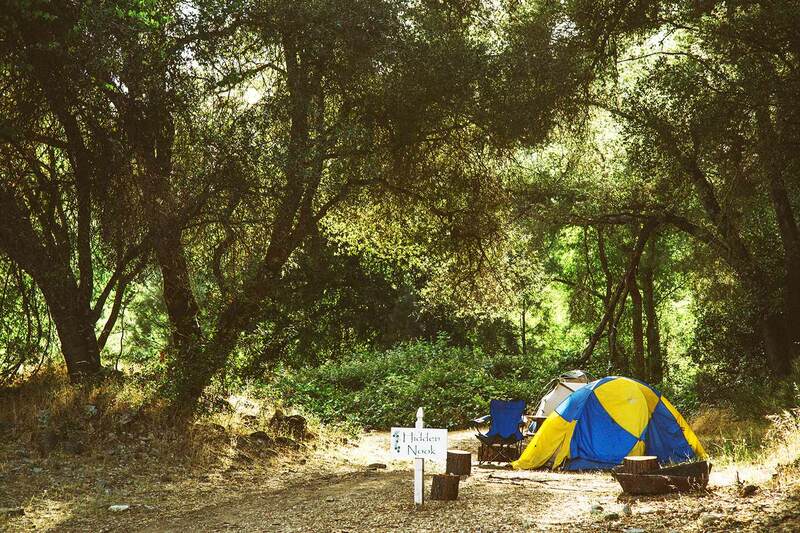 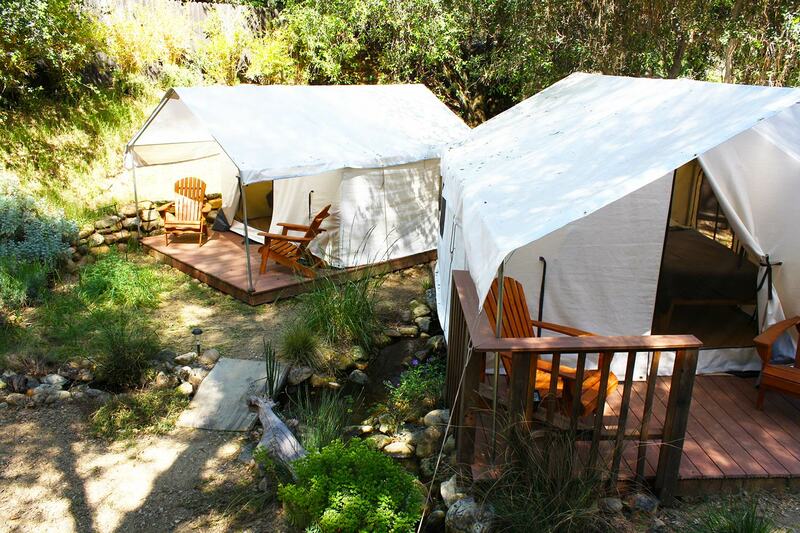 Ask about FREE CAMPING before or after your trip! 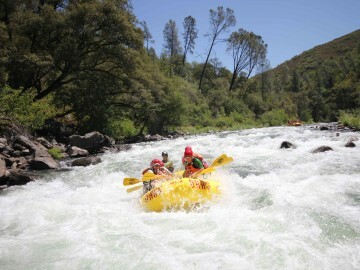 Raft Achilles Heel, Bogus Thunder & Chamberlain Falls with a crashing 8-foot drop! 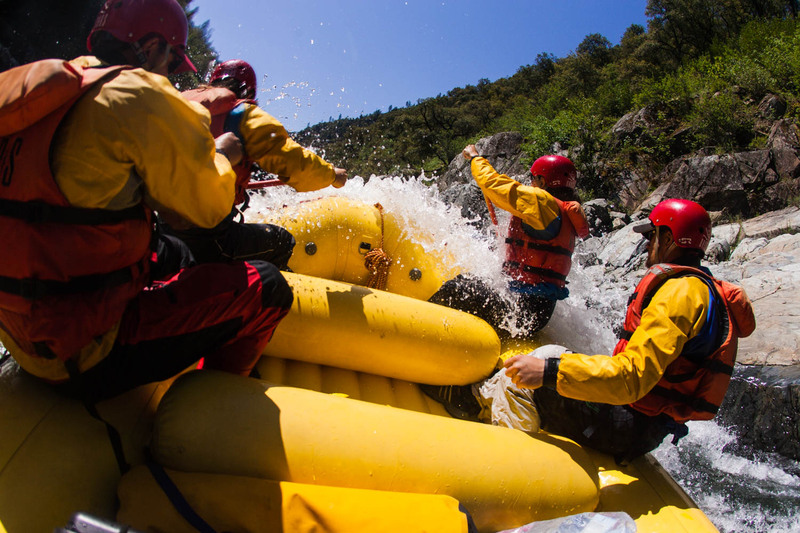 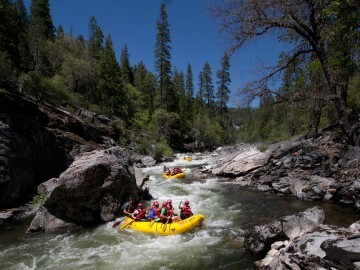 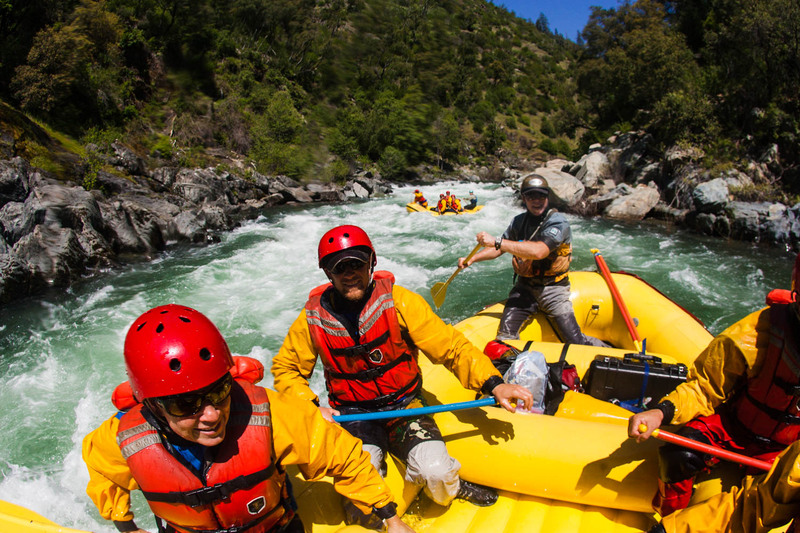 Combine rafting the South Fork American River with our North Fork American rafting trip for a one-of-a-kind California rafting adventure! 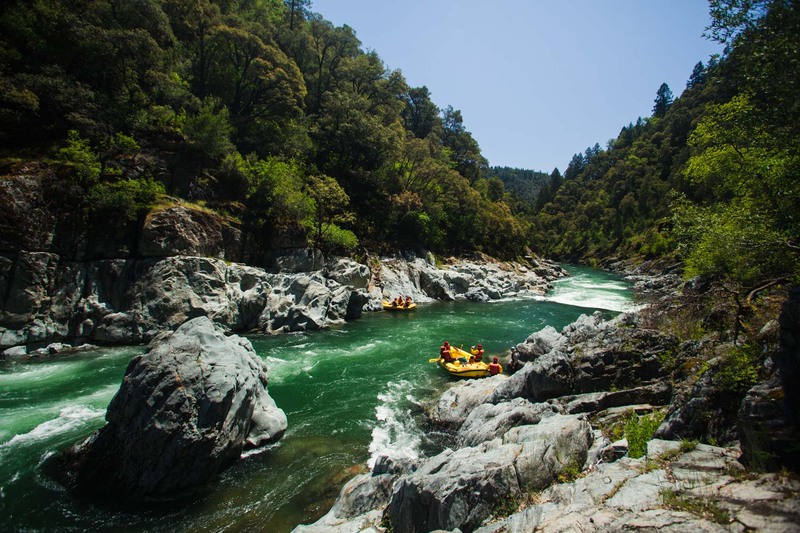 The gently sloping hills, deep green woodlands, rocky gorges and early-season wildflowers deliver an American River rafting trip that serves as an ideal training ground for rafters moving up in paddling dexterity. 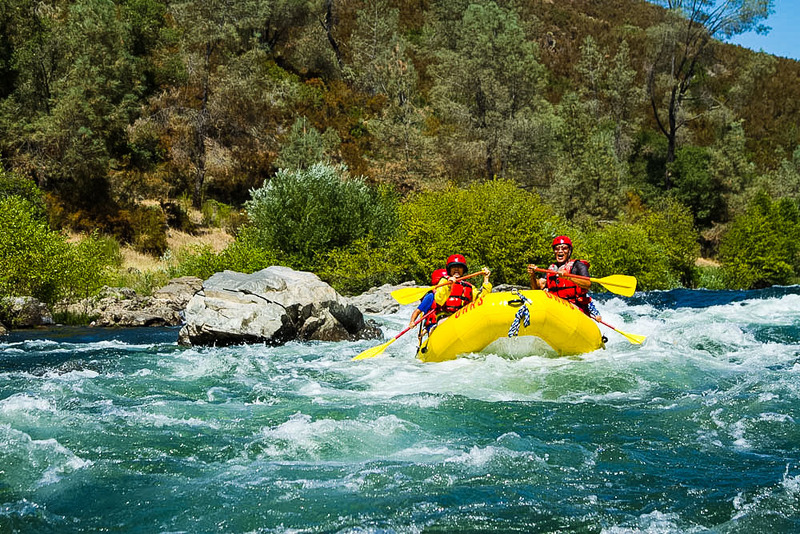 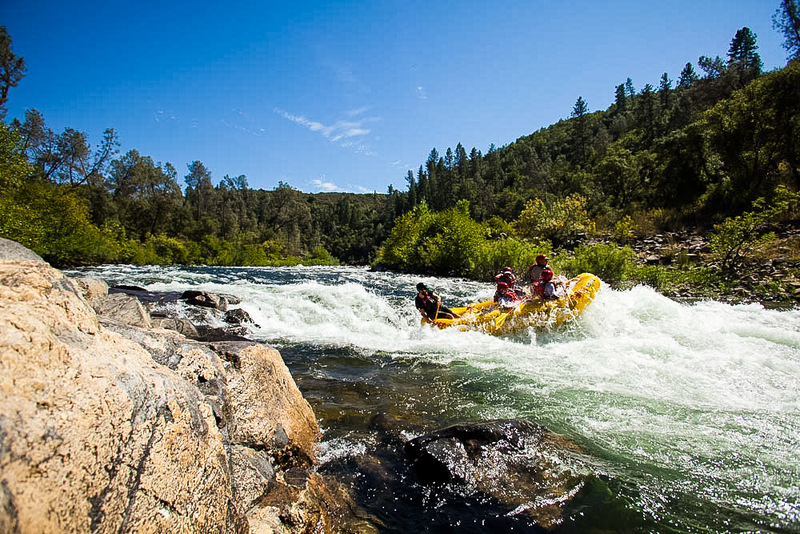 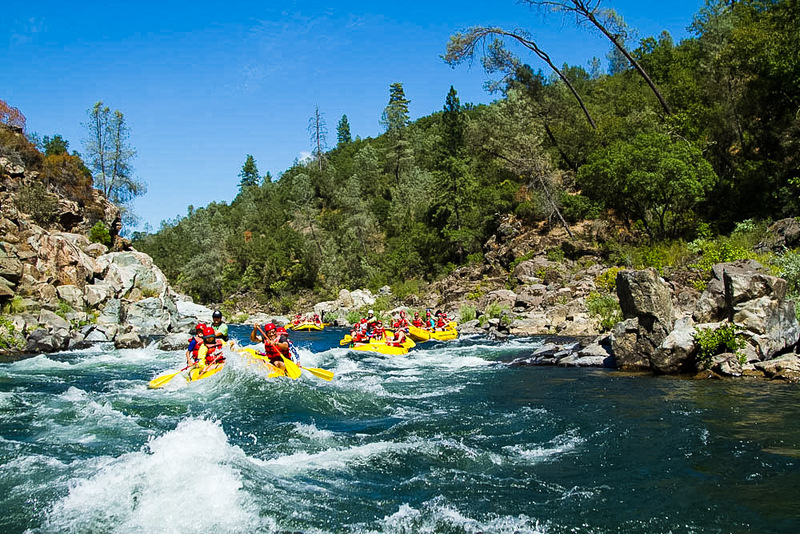 The South Fork American River is California’s most popular rafting destination with fun, easy-to-handle Class II-III whitewater rapids, gold rush history and beautiful wilderness scenery. 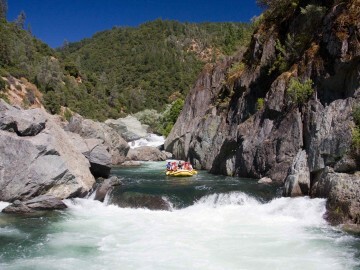 The un-dammed Wild & Scenic North Fork of the American River provides intense Class IV excitement as runoff from the Sierra Nevada snowmelt thunders with a vengeance through the towering 2000-foot canyon walls. 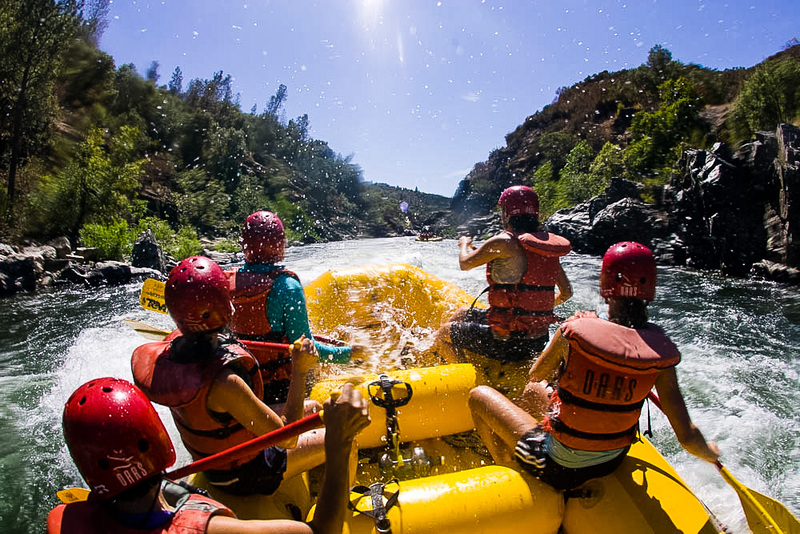 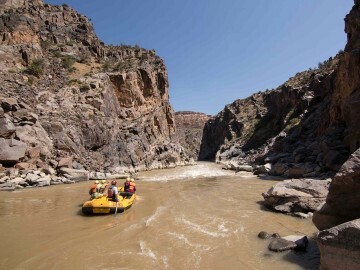 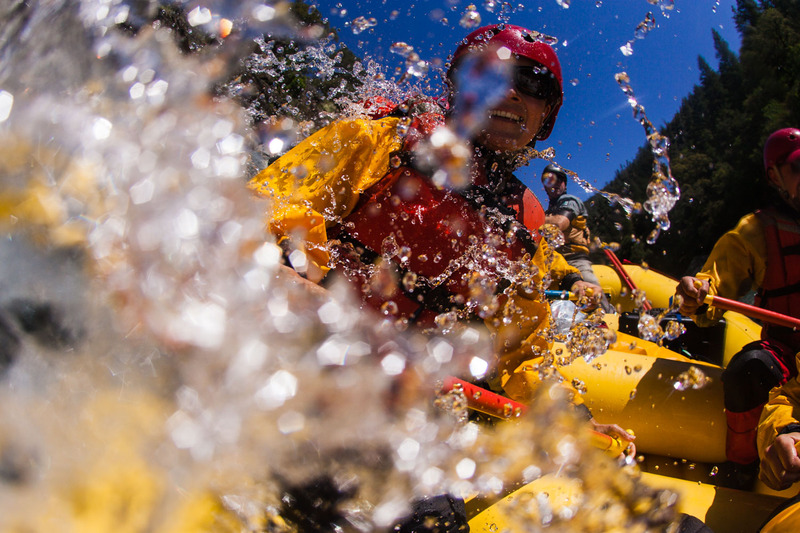 Surrounded by blankets of green grass, colorful wildflowers and black oak and pine forests, this is a “do not miss” in early-season California rafting adventures!